The Russian Northern Fleet’s Project 955 Borei-class nuclear-powered submarines are planned to perform a multiple launch of two Bulava intercontinental ballistic missiles (ICBMs) in 2016, a source in the defense and industrial sector told TASS on Friday. The Bulava intercontinental ballistic missiles will be launched towards the Kura training range in Kamchatka in Russia’s Far East, the source added. "It has not been decided yet when a multiple launch of Bulava intercontinental ballistic missiles will be performed and which submarine will be used," the source said. "The launch is likely to be performed from the Barents Sea in the first half of the year. 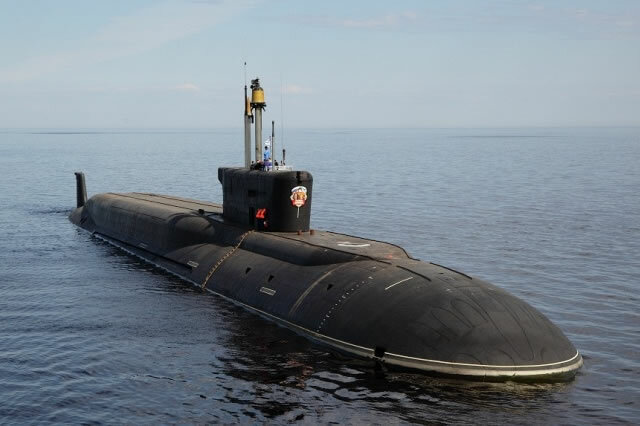 Either the submarine Yuri Dolgoruky, or the submarine Vladimir Monomakh will launch the missiles," the source added. According to the source, a decision on the submarine will be made depending on "the fleet’s combat training program and the submarine’s technical readiness." A multiple launch of two Bulava intercontinental ballistic missiles was last performed by the nuclear-powered submarine Vladimir Monomakh on November 14, 2015. The Russian Defense Ministry said at the time that "the reentry vehicles have successfully reached the Kura training range in Kamchatka." The Project 955 nuclear-powered submarine is armed with the advanced R-30 Bulava missile system with a flight range of more than 8,000 kilometers (4,971 miles). The system is furnished with multiple individually-targeted reentry vehicles. Each Project 955 nuclear-powered submarine can carry 16 solid-propellant intercontinental ballistic missiles.